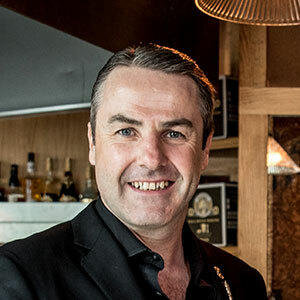 A jet-set bartender, on-trade consultant and spirits expert, Philip Duff is one of the cocktail community's best-loved presenters & educators, a renowned expert on all distilled spirits (but especially gin & genever), and an in-demand on-trade & beverage consultant to drinks companies around the world. As well as teaching seminars, founding an award-winning craft-cocktail bar, owning Old Duff Genever, serving as director of education for Tales of the Cocktail and appearing on TV & in publications as diverse as Esquire, Reuters, The New York Times, The Wall Street Journal, Food & Wine, Australian Bartender, Imbibe and Mixology, Philip's consulting firm Liquid Solutions helps drinks brands connect with the world of bars, everywhere. Philip lived, bartended and managed both nice and dodgy bars in his native Dublin, London, New York, Grand Cayman, Rotterdam and The Hague before setting up Liquid Solutions Bar & Beverage Consulting in 1999. He soon became one of the mixology world's very first global ambassadors for cocktails and bars, teaching seminars in up to forty countries a year. Just some of his career highlights include: creating the Total Cocktails ontrade bar-training program that won an award from the Liquor Control Board of Ontario (Canada, 2003); organising the world's first Molecular Mixology seminar (Paris, 2005); opening Europe's largest bartending school and providing his expertise to the award-winning cocktail-themed visitor experience in the same building (Amsterdam, 2007); helping create a brand that won Best New Product at the Tales of the Cocktail Spirited Awards (New Orleans, 2009); winning the Spirited Awards Golden Spirit award for World's Best Presenter (New Orleans 2012); becoming the first-ever Director of Education for Tales of the Cocktail (2013); recreating the oldest known recipe for gin from a 1495 Dutch-language book in the British Library (2014); being inaugurated into the Gin Guild (2015) and launching his own brand, Old Duff Genever (2017). A hilarious and engaging speaker, Philip’s sought-after bartender, cocktail & spirits seminars have been attended by more than 90,213 bartenders in over 124 cities around the globe since 1999 (some of them even stayed until the end). In 2008, Philip opened the Netherlands’ first speakeasy cocktail bar, door 74 in Amsterdam. door 74 has twice been nominated as one of the world's four best cocktail bars (2008 & 2009), won Best Cocktail Bar and (twice) Best Bartender (2009 & 2010) at the Venuez Dutch Bar Awards, has featured in “World's 50 Best Bars”, and is credited with kicking off an entire wave of classic-cocktail focused bars in the Netherlands. Philip's work for drinks brands clients centers around new product development, copywriting, briefing sales & marketing teams, and creating on-trade engagement & education content. He has created acclaimed trade engagement programs such as the Bols Around The World and G'Vine Gin Connoisseur global bartending competitions, and has consulted for Diageo's World Class and Pernod-Ricard USA's BarSmarts programs. His very own brand, Old Duff Genever, launched in New York in September 2017 and almost immediately acquired cult status, being listed within a week in every New York bar that was a member of the World’s 50 Best Bars. The very first order was from the three-Michelin-starred Eleven Madison Park, World’s 50 Best Restaurants #1. When not writing, talking, drinking or getting in or out of aeroplanes, Philip lives with his family in New York.